Editor's note: James Heidrich of Bad Cat and Blackwing Amps passed away earlier this month. The following is a tribute from his friend and colleague, Heath Berkowitz of Boston Guitar. 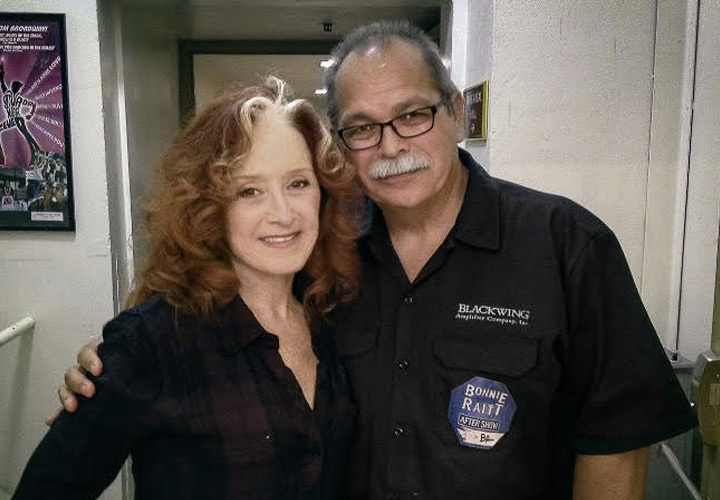 On February 11, the music industry lost one of its own when James M. Heidrich, founder of Bad Cat Amplifiers and owner of the Blackwing Amplifier Company, passed away unexpectedly due to heart failure from a pulmonary embolism. He was 64 years old. James Heidrich founded Bad Cat Amplifiers in 1999 after seeing that there was a hole in the then-rapidly growing “boutique amp” market from the temporary absence of Matchless Amplifiers. He knew that to get the best tone a guitar amplifier can achieve it needed to be done with point-to-point wiring and the best components available. Everything from resistors, caps, chassis, transformers, speakers, and cabinets were always the highest quality he could source, and it remained that way until James sold Bad Cat in 2011. Bad Cat debuted at the 2000 NAMM show to rave reviews. There they showed the Black Cat and Cub models, which were similar to Matchless’ most popular models the C-30 and the Lightning, but with minor adjustments based on James’ ideas and artist input. These models were a nice start but James loved heavier rock music and was more interested in using these same building philosophies to create a modern channel-switching amp that had a great high-gain sound without all the fizzle many modern high gain amps produce. He also wanted it to be “Class A,” which at the time was pretty much unheard of. So the Hot Cat was born. 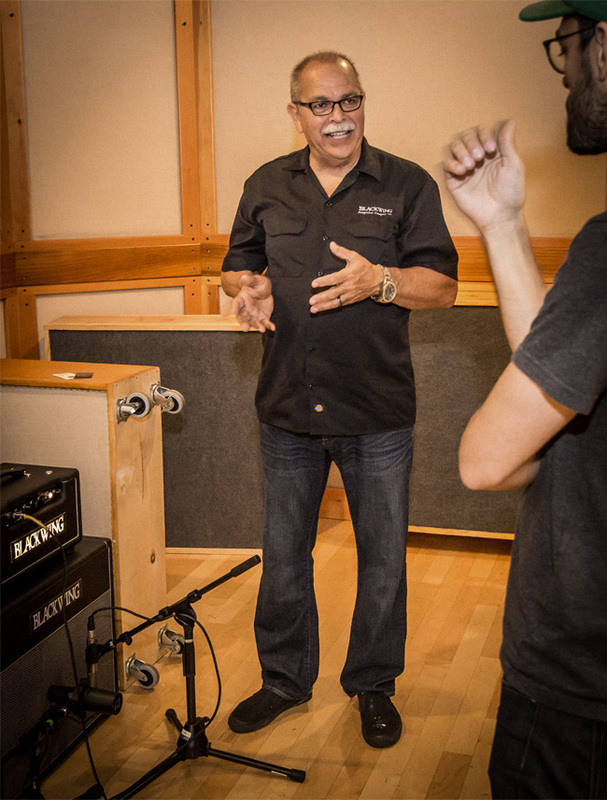 In 2002, along with some valuable input from Rick Perotta, the founder of Matchless amps and Royer Labs, James came up with an amp that for a relatively small amp builder rocked the high-end amp world for most of the next ten years. The first Hot Cat was a 30-watt Class A amplifier that could keep up with any 50 watt amp on the market. The Hot Cat provided much more gain than had been heard from Class A amplifiers up until that point. It retained more clarity in its distortion and still had the harmonic character Class A amps are known for. The Hot Cat put Bad Cat on the boutique amp map, winning pretty much every industry award there is including Guitar Player’s prestigious Editors Pick Award. The Hot Cat was also awarded a 2nd place finish in the magazine’s “Best combo amp ever made” category at the 2004 NAMM show, right behind the Fender Twin. In total, under James’ ownership, Bad Cat earned 8 Editors Pick awards from Guitar Player and many more from other publications. Through the 2000s, up until the unfortunate downturn in the economy, Bad Cat was one of a small group of builders sharing most of the high-end amp market. In 2011, James sold Bad Cat and waited out a 5-year non-compete as part of the sale agreement. But he was getting the itch. 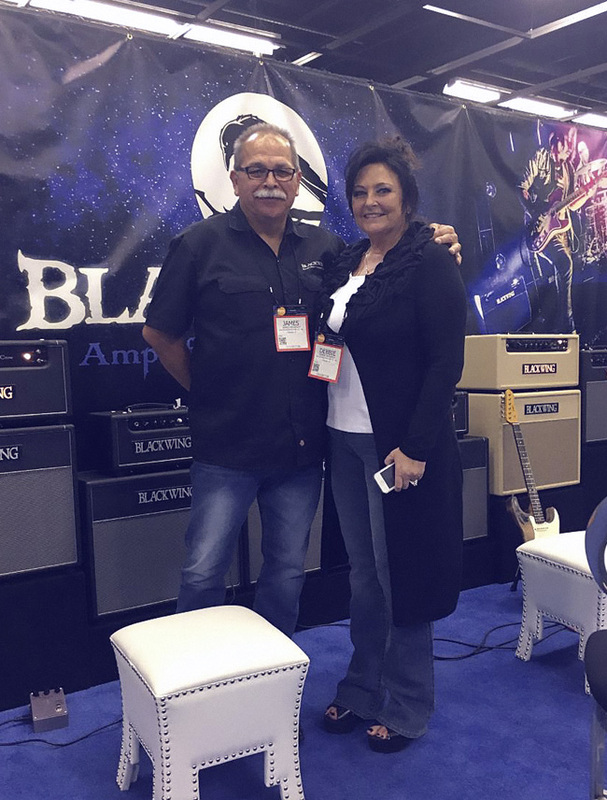 So in 2016 James started the Blackwing Amplifier Company and debuted his line of amps at the 2017 NAMM show. 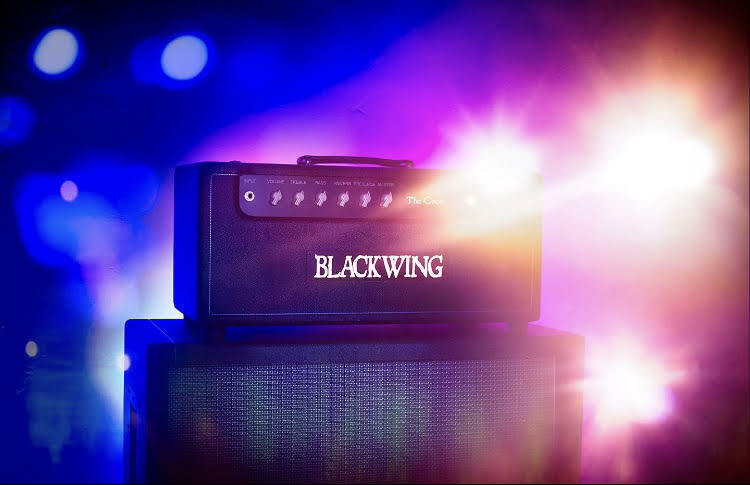 Blackwing Amplifiers are built to the same standards as Bad Cat amps were when he was the owner, using American components and wired by the same few people who wired all Bad Cat amps before the company was sold. At the time of his death James was working on new models and, as always, was trying to implement great ideas into his amplifiers. James was constantly working with artists, dealers, and distributors to incorporate their wants and needs into his amplifiers. There are literally hundreds of high-profile artists whom he worked with and helped over the years—from Bonnie Raitt and Keith Urban to Billie Joe Armstrong and Converge’s Kurt Ballou. Other famous players he worked with include John Paul Jones, Richie Sambora, Sheryl Crow, Melissa Etheridge, Troy Van Leeuwen, and many, many more, but he was a friend to all players. It was not uncommon for him to spend hours on the phone with a customer, regardless of their industry status. James was an amazing person and friend to so many. He had a huge heart and an abnormal tolerance for people and their hardships. Trust me—I know this for a fact. He will be remembered not only for his contributions to the amplifier business but for his friendly demeanor and great sense of humor. You really only needed to meet him once to be able to recall his distinguished laugh and wide smile. James Heidrich is survived by his wife Debbie—who helped him create and run both Bad Cat and Blackwing—and their daughter Shay, who was also an integral part of the daily operations of Bad Cat in the 2000s. A GoFundMe page has been set up to assist Debbie and Shay with not only immediate financial needs but future needs as well. Unfortunately, with the passing of their beloved husband and father, amplifier production does not seem feasible. You can visit that page here. I was fortunate enough to call James a friend, a brother, a boss, and sometimes even a father. His loss is indescribable to those that knew him and is without question a huge loss to the guitar community, but his work will live on forever in the products he created and the players who use them.